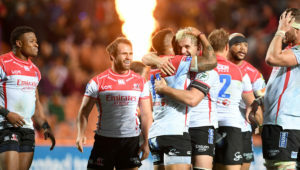 Mapimpi is on fire in Vodacom Super Rugby right now. It’s fun to watch. From his blistering pace, to his quirky try-celebrations, Mapimpi is clearly enjoying every minute of action this season. The 28-year-old has racked up four tries this season (equal rank 10th), while he is ranked fourth in the competition for clean breaks (13) and is sixth for metres carried (447). 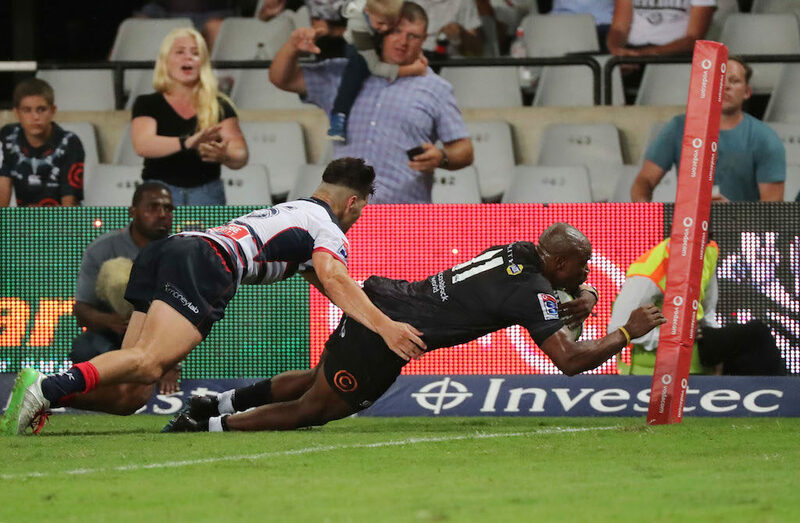 Besides scoring a brace of tries (as can be seen below) as the Sharks humbled the Lions at home on Friday, Mapimpi completed 120m, 11 carries and made five clean breaks. 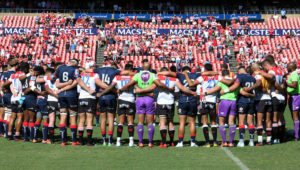 Mapimpi’s performances this season have been a breath of fresh air, particularly when one considers that last year’s incumbent Bok wingers, S’bu Nkosi and Aphiwe Dyantyi, have had a rather slow start to 2019. Both Nkosi and Dyantyi have endured some injury struggles, which has also played a role in limiting their impact this season. 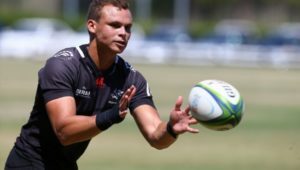 In the meantime, Mapimpi is starting to grab the headlines, and Bok coach Rassie Erasmus must be sitting up and taking notice. Already last year, Erasmus made no secret of the fact that he had been highly impressed by the steep upward curve of Mapimpi’s evolution as an international-quality winger. Wind back to August, on the eve of the Boks’ Rugby Championship opener, and it’s worth remembering the ringing endorsement that Erasmus was already offering back then. ‘He [Mapimpi] will be the first guy to put up his hand and admit that there were certain technical areas where he previously struggled, like with the high ball and certain defensive systems. But hell, I must say, if I must rank players in the 35-man squad who have improved the most, Makazole is undoubtedly No 1. 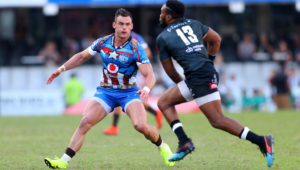 Mapimpi’s Test exposure was disrupted by injuries at unfortunate times last year, but he has literally hit the ground running in 2019, and looks to be playing with the sort of form and confidence that cannot go unnoticed. If the seasoned winger continues at this rate, there is little doubt that he will be fully deserving of a starting berth once the international season rolls around. And in a World Cup year, the signs suggest that Mapimpi is shaking up the status quo. 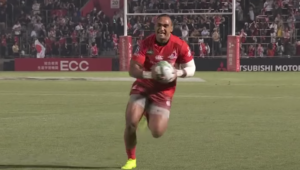 While there is still plenty of time in Super Rugby for Dyantyi and Nkosi to reassert their presence, it’s Mapimpi who is taking significant strides towards securing his ticket to Japan later this year. Noticeably, Mapimpi also boasts an 85.7% tackle success rate so far this season, while he has proven that he has the skills with the boot to create opportunities through little chips or grubbers. At the moment, Mapimpi is flying. Erasmus and the Bok coaches must be smiling.